We are looking for top candidates to join the ZAP Team. We have multiple opportunities that include Structural, Electrical, I&C Engineers and many other positions. Visit our Employment page to apply! 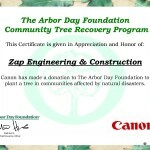 ZAP Engineering proudly supports Protect Colorado, an organization focused on defending the energy industry from the extreme attacks of anti-fracking groups. Protect Colorado opposes the four ballot measures (#40, #63, #77 and #78) which would cripple the energy industry and Colorado’s economy. 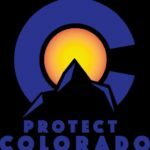 For more information, go to ProtectColorado.com. 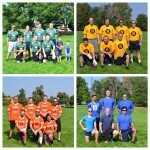 Saturday, August 29th, ZAP employees participated in the 2nd Annual ZAP Football League (ZFL) Flag Football Tournament. The event was a huge success with over $2,500 raised for charity and zero (major) injuries! Congratulations to Frank Lousberg’s Mean Green Machine on winning their 2nd ZFL title! 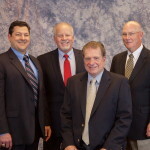 2015-2016 GPSA Officers (left to right) : Treasurer Richard Barber, Caterpillar Inc.; 2nd Vice President Stan Dorak, Coastal Chemical; 1st Vice President Steve Tzap, ZAP Engineering; and President Sean Sullivan, Elkhorn Holdings.